- Application: ETP-Plants, Rice Bran Oil Dewaxing, Pigments. Applications: Industrial Waste Water Treatment plants. 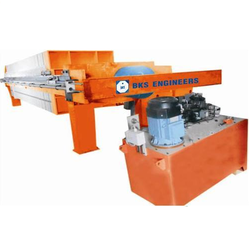 This model has single hydraulic Cylinder and Maximum No Of Plates Shall be 100 + plates. The Hydraulic shall be open and close automatically . In let slurry shall be controlled with a Variable Frequency Drive. But the entire operation sequence is Manually controlled. The Microprint-6 DA is a 6 Color Dry Offset Press offered for high production runs. This machine has automated container feeding. 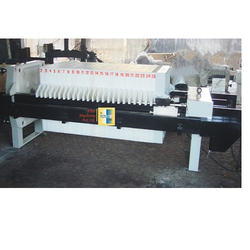 Our organization offers a comprehensive range of Semi Automatic Filter Press.